23. I have three envelopes, into one of them I put a £20 note. 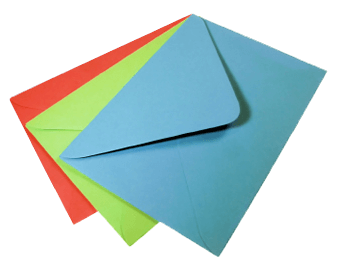 I lay the envelopes out on a table in front of me and allow you to pick one envelope. You hold but do not open this envelope. I then take one of the envelopes from the table, demonstrate to you that it was empty, screw it up and throw it away. The question is would you rather stick with the envelope you have selected or exchange it for the one on the table. Why? What would be the expected value to you of the exchange? With this puzzle it's not so much explaining the answer that's difficult, as it is convincing you I'm right... This is an example of the Monty Hall problem. If this is confusing then it may help to think that the questioner knows which envelope the £20 note is in, though in practise it doesn't actually matter. The questioner would always be able to demonstrate that the note was not in one of the envelopes on the table regardless of where the note was, so the fact that he was able to do this changes nothing. Simply before the exchange you have 1/3 of £20 and afterwards you will have 2/3 of £20, ie the advantage to you is about £6.66.